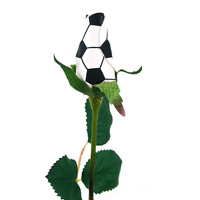 Do you love this game? 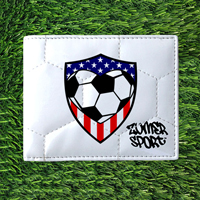 The durable soccer money clip features a heavy duty zinc plated clip and is accented by a USA soccer heart emblem. 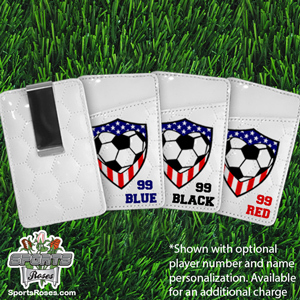 We can personalize the money clip with your favorite soccer player's name and number. Choose from 3 different colors for the number (Red, Black, or Blue). 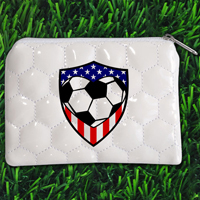 The USA Soccer Money Clip is perfect for fans, players, & coaches. It easily slides into any pockets. 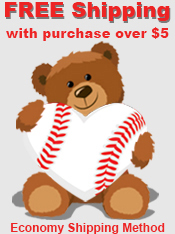 Optional Customization: Add a player number (up to 2 digits for $2 extra charge) and/or name (up to 15 characters for $5 extra charge) can be printed with athletic-style font in red, blue or black print.